Square Enix wants to take exploration options "a step higher" than previous Final Fantasy titles. One of the biggest complaints many had about Final Fantasy XIII was its extreme linearity. Much of the experience took place in what amounted to a single long corridor that technically led the player to different places but allowed for little exploration. Square Enix tried to address this in Final Fantasy XIII-2, opening up the game's environments substantially. That said, with Lightning Returns: Final Fantasy XIII-3, the company is aiming to provide even more freedom than its predecessor. "Our games have never put too much consideration into the idea of 'being able to go to areas that look accessible,' so we've made it our goal to take that part a step higher," Yuji Abe, design director for the Lightning Returns. "Covering 100% in those regards might be a little difficult, but I'd say that you'll be able to go to about 90% of all visible areas." This focus on giving players the ability to go where they please will likely resonate with the many people turned off by Final Fantasy XIII's tightly directed narrative. Interestingly enough, Abe also suggested that there may be new liberties granted in the way gamers advance through the game as well. When asked about players who might try to avoid combat, he didn't shoot the idea down wholesale. "I believe there will be a huge hurdle to doing that, he said. 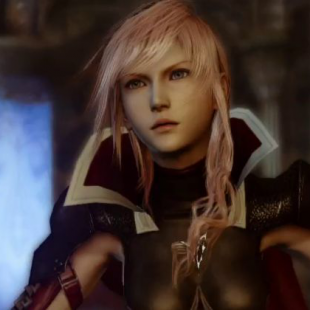 "However, Lightning will be able to level up by simply clearing key events, which will increase her parameters. Again, if you want to increase her parameters by a larger amount, you can also purchase equipment." While he's hardly saying combat will be optional, his phrasing does seem to suggest that it won't be quite the same necessity as in other Final Fantasy titles. If that's true, it will be interesting to see the various ways players devise to get through the game.